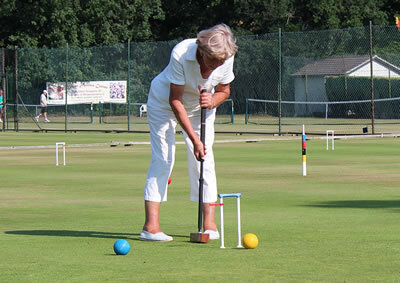 Cornwall Croquet Club's Rosevear golf croquet team travelled to Poole to play their league fixture. 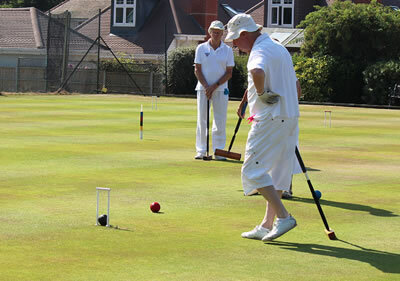 The match was on Wednesday July 17th, a day of uninterrupted and very hot sunshine, the high temperatures only being slightly relieved by occasional sea breezes. Although the lawns are irrigated, they were very fast, with a few spots where local knowledge came into play. 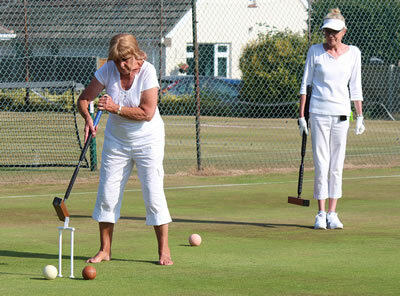 The four doubles games were played first, with Cornwall gaining two wins and a draw, the latter a low scoring game in which only four hoops were run. The sixteen singles followed on each side of lunch, with the match level at 4-all at lunchtime. 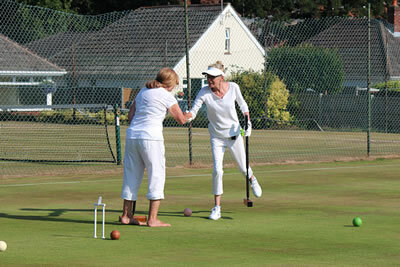 The afternoon singles tilted slightly towards E. Dorset, but a draw was still possible if Cornwall won the last game. This reached six-all, but E. Dorset had first shot at hoop 13, and placed the ball perfectly. Cornwall were unable to hit in and clear the ball, which duly ran the hoop and gave the hosts a narrow victory 11-9. 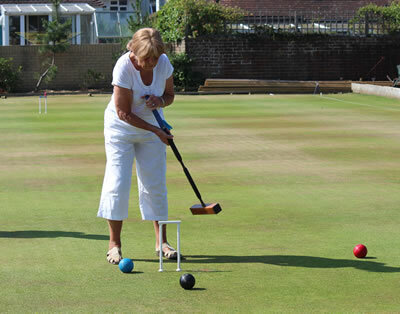 Cornwall: Dorianne Forsdick (handicap 8), Jenny Burrows (8), Barry Edwards (9), Margaret Read (8), Stephen Read (3), and David Edwards (2).